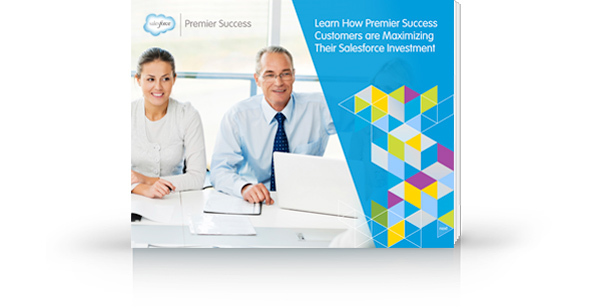 Learn How Premier Success Customers are Maximizing Their Salesforce Investment. Premier Success Plan customers get exclusive access to Salesforce certified experts, success programs, and enhanced support and training to ensure their success with Salesforce. Register here and get the Premier Success e-book to learn how Premier customers are maximizing their Salesforce investment. Premier Success Plan customers get exclusive access to Salesforce certified experts, success programs, and enhanced support and training to ensure their success with Salesforce. Register here and get the Premier Success eBook to learn how Premier customers are maximizing their Salesforce investment.